Cordless Light Filtering Cellular Shade Snow Drift 18-inch x 72-inch (Actual width 17.625-inch) Cellular Shades not only enhance your windows, and room but your wallet too. Energy saving Cellular Shades can save you money on heating and cooling costs by insulating your windows from heat and cold. 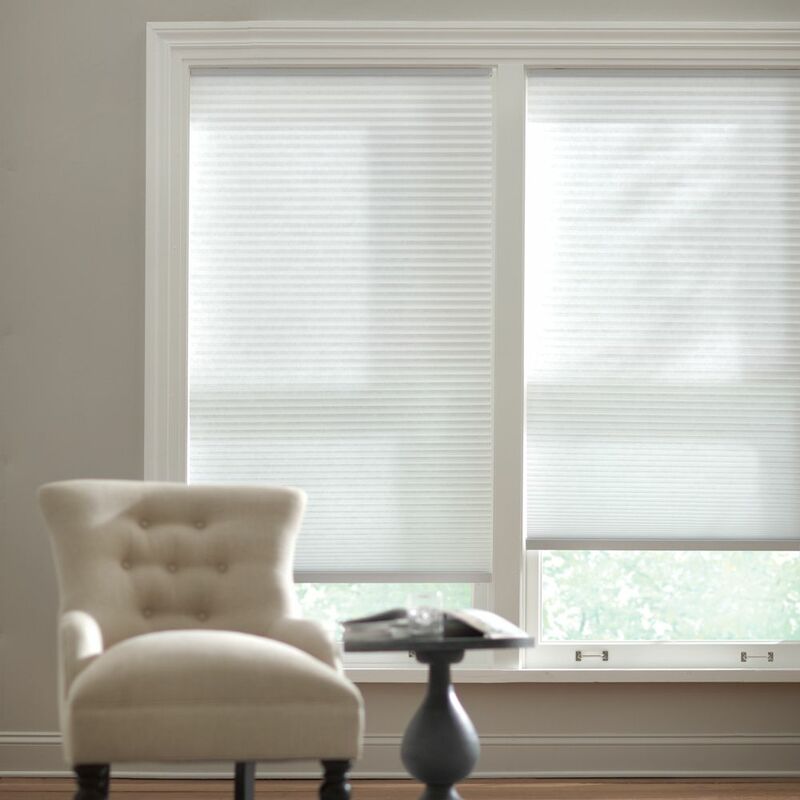 Home Decorators Collection Cordless Cellular Shade provides great insulation to your window while softly filtering in natural light. This cordless shade operates without any visible cords, providing a child and pet safe environment in your home. The honeycomb shape cells are made with durable fabric that form crisp, clean pleats to keep your window looking sleek.